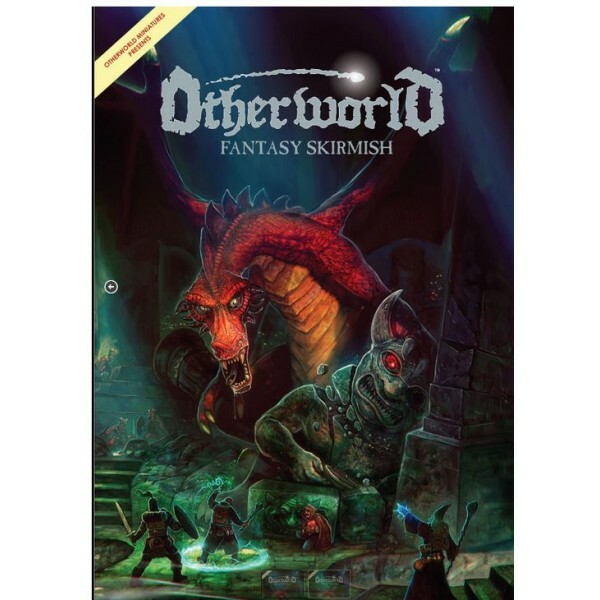 Product Description Taking fantasy gaming back to its roots, Otherworld Fantasy Skirmis.. 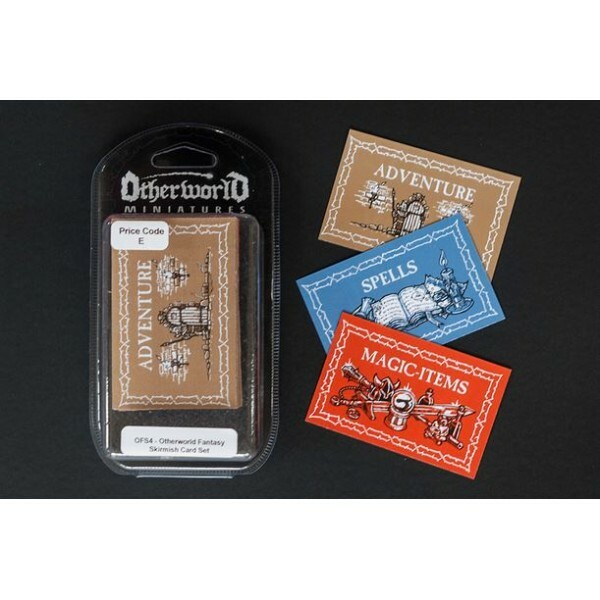 Product Description This is a pad of 30 faction roster sheets for the Otherworld Fantas.. 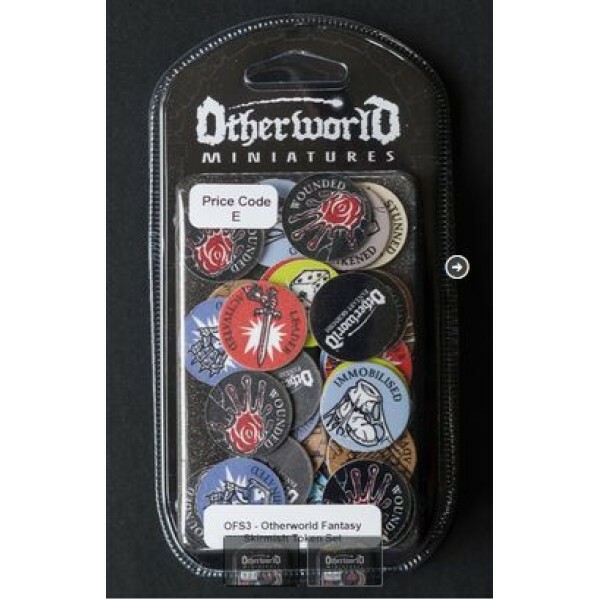 Product Description This is a set of 54 tokens (many are double-sided) for the Otherwor.. Product Description This is a deck of cards for the Otherworld Fantasy Skirmish game. T.. 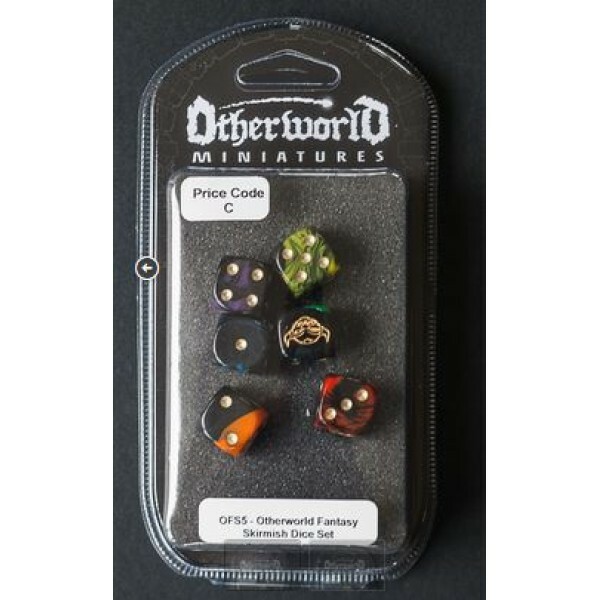 Product Description This is a set of 6 6-side dice for the Otherworld Fantasy Skirmish .. 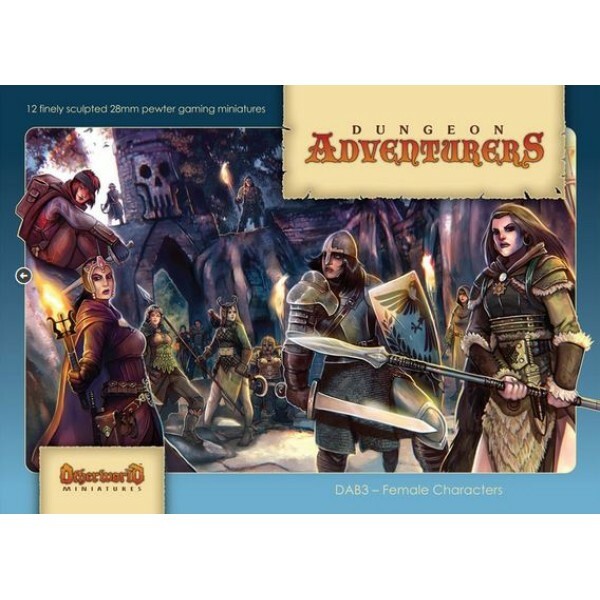 Product Description This is the first boxed set of our new range of Dungeon Adventurers.. 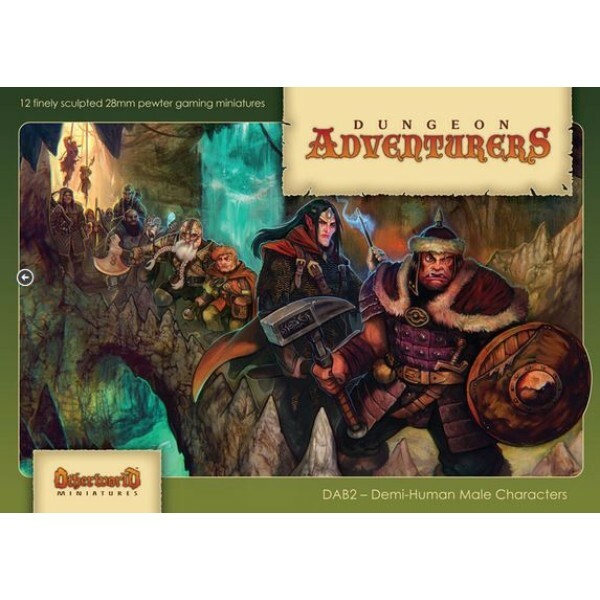 Product Description This is the second boxed set of our new range of Dungeon Adventurer.. 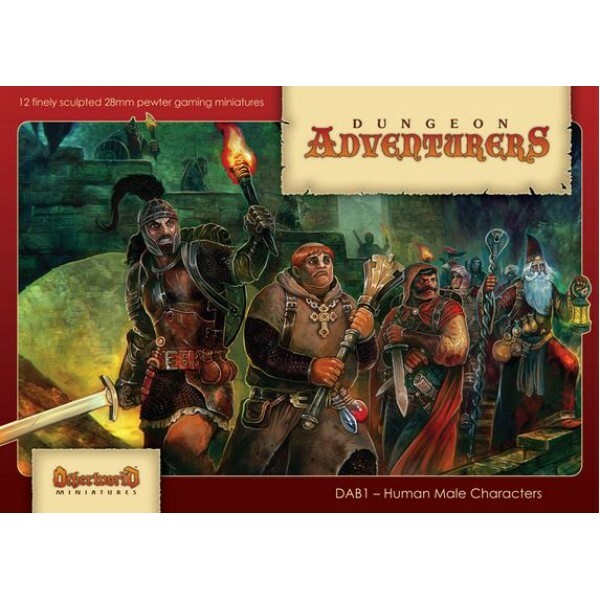 Product Description This is the third boxed set of our new range of Dungeon Adventurers.. 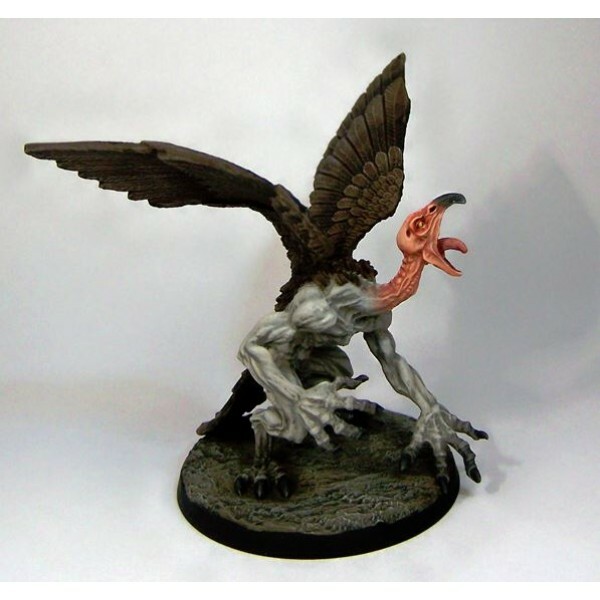 Product Description This is a multi-part model of a Type I demon, sculpted by Paul Muller a.. 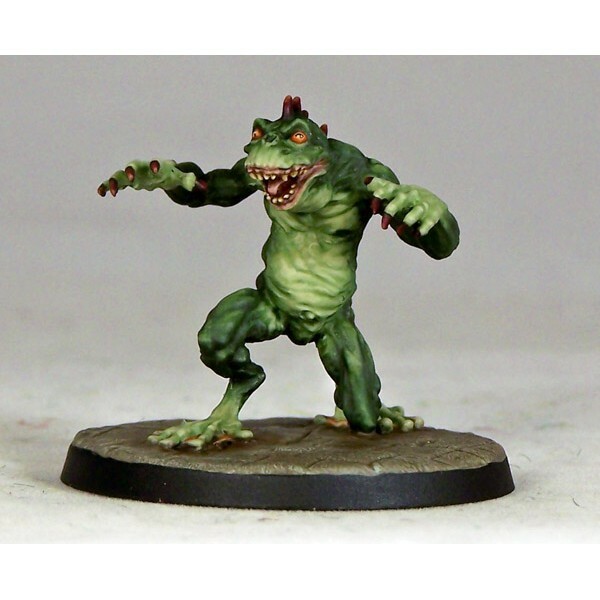 Product Description This is a model of a Type II Demon, sculpted by Paul Muller and cast in.. Product Description This model is a Type III, or Glabrezu, Demon. He has been sculpted by A.. 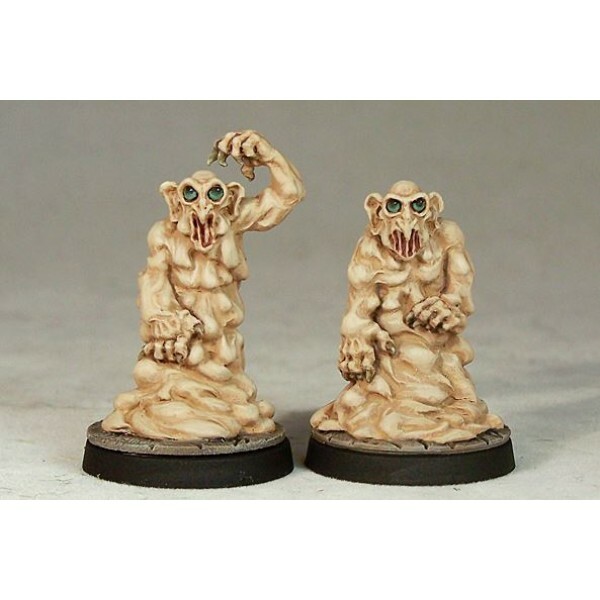 Product Description This is a pair of minor Devils, foul Lemures from the Nine Hells. They .. Product Description This is a new model sculpted by Drew Williams, depicting one of the mos.. 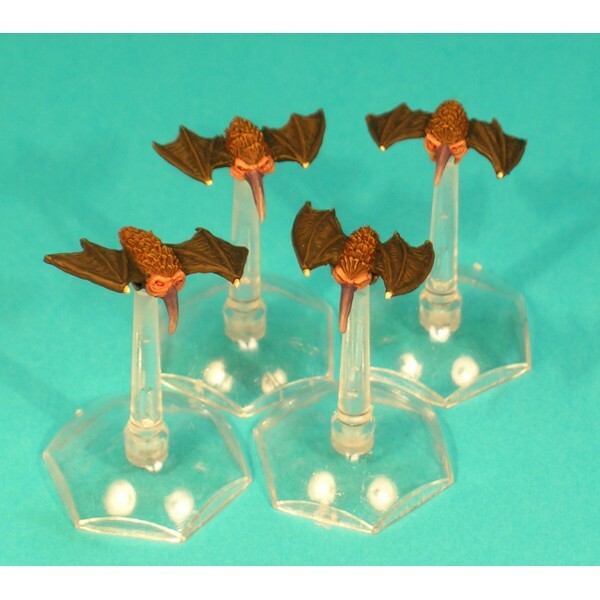 Product Description This is a set of 4 of miniatures from our range of Dungeon Monsters.. 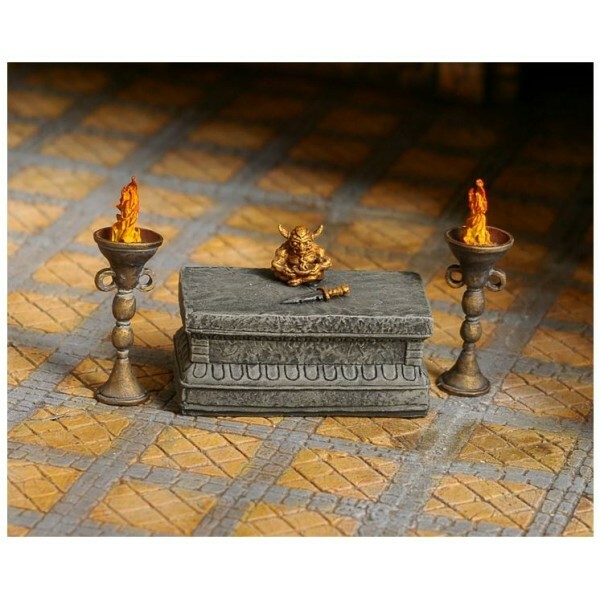 Product Description This is from the ‘Dungeon Furniture’ range, an ornate stone altar and a..